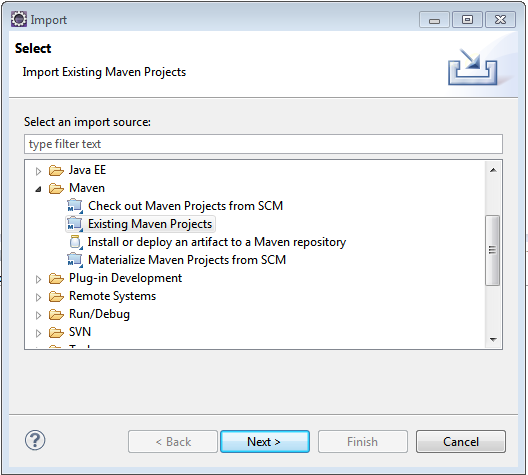 In this post, we will see how to create a maven Multi-module project. Multi-module project structuring can be handy when we have to share a particular module between different projects. For instance, you can have different web-applications which are using same module for interacting with database. We will develop a parent-project and three sub-modules projects (one model library and two web applications), where both web-applications will share the same model library. This command will create a new project with name ‘parent-project’ in your workspace. 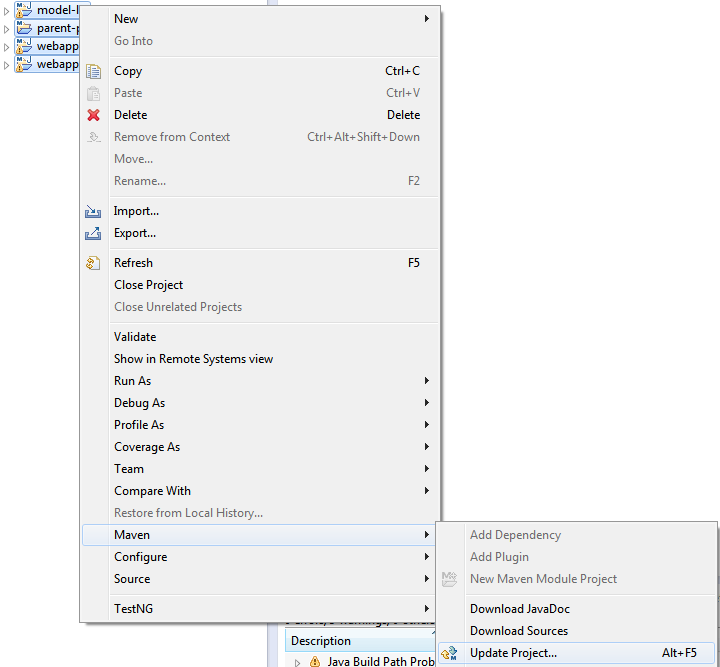 Open pom.xml of above created parent-project and change the packaging to ‘pom’. Now if you open the parent-project pom.xml, you will find all three modules being added in there. Also, in each sub-module’s pom.xml, a parent section being added. In our case, model-lib is a libreary(jar), we will set its’s packaging to jar. On the other hand, webapp1 & webapp2 are intended to be WAR, so we need to changed their pom.xml to set the packaging to war. 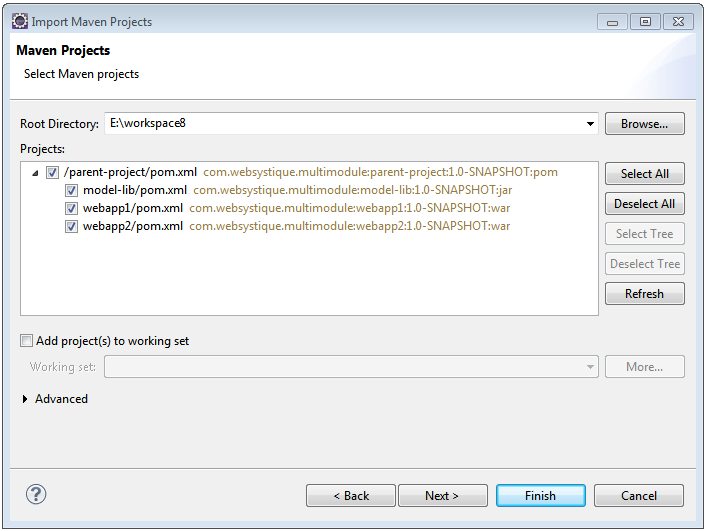 click finish, you should see the projects got imported successfully in Eclipse. Now when you build the parent-project, all your child project will be build successively. One remark: Although it’s not mandatory, when you change any of your project, it’s advisable to perform a Maven-> Update project do get the changes reflected in all the projects which depends on this project.